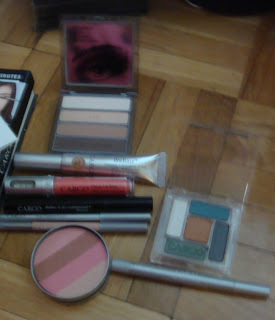 The other day I went into Murale (a store owned by Shoppers Drug Mart that specializes in just beauty lines), and got a bunch of Cargo goodies. I will review them later, but in the mean time I thought I would show you what I got. 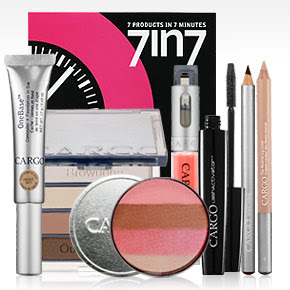 The 7 in 7 kit was a great deal at $59 considering the eye shadow pallete or the blush cost $32 on their own. I am trying to work this kit into my every day routine to make it easer and faster. So far I am loving everything in the kit and how it looks on me. The high intensity lipgloss in Ecuador and eyeshadow palette in Peru were free bonuses the store was offering on the weekend making the kit an even better buy. I plan on doing a full review off all the products soon!